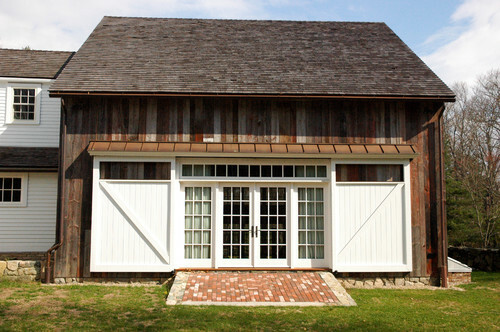 Transoms are a mainstay in carriage houses and garages built in the 19th and 20th centuries. 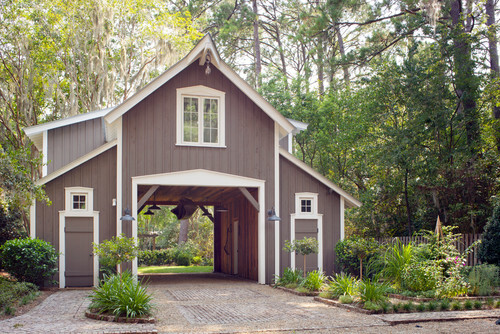 Styles differ, but long transoms over garage doors and smaller transoms in select locations are common. Hints: Freestanding transoms should be ordered with sills on the bottom -- especially if the transoms are placed on a side of the building that receives weather. 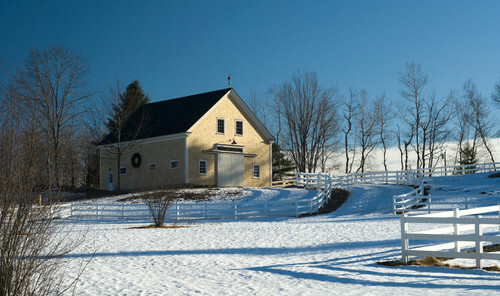 Is your garage or barn unheated space? 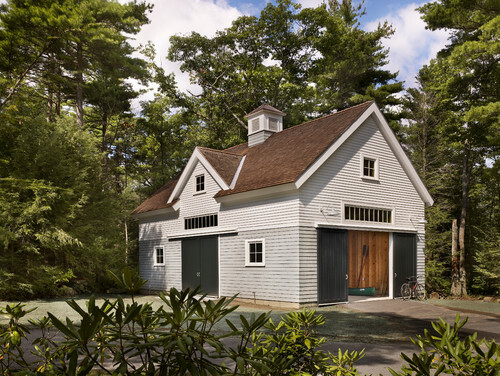 Often garage and barn transoms can be made of single pane glass to save money. Call us so we can discuss your exact situation. 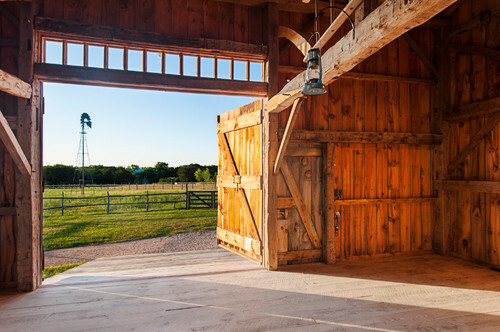 We know you're out there -- we have built dozens of transoms for barns just like the ones below! Hints: Remember, barns are also usually unheated and can use single pane glass to save money. Call us so we can discuss your exact situation. 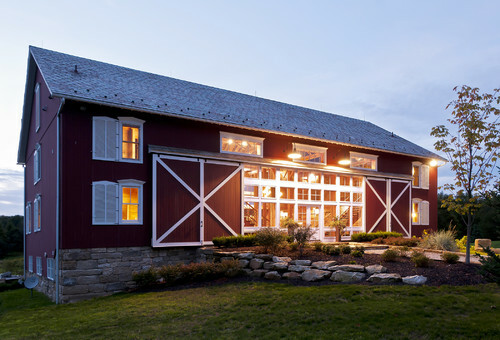 Whether its a party barn or living quarters, transoms add light and personality! Hints: We can make transoms with or without insulated glass for transoms in these structures. We can also build them 24" or taller.